Barry has served as a pastor for over 20 years. He has degrees from Southeastern Bible College in Birmingham Alabama and a Doctorate of Ministry from Covington Theological Seminary. After pastoring an incredible church family in Springville, Alabama for 17 years Barry was led to serve God in a different place, although having no idea where. Stepping out in faith, he resigned. The Lord soon gave Barry’s heart the call to plant a new church ministry in rapidly growing Baldwin County, Alabama. In this walk of faith God opened the doors to start a new work in the heart of Orange Beach at a popular shopping center called the Wharf. 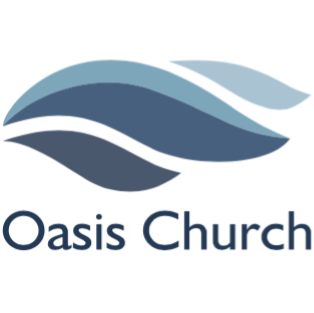 On May 1st 2016, Oasis Church was born. Barry’s heart is to be faithful and obedient to God’s will whatever that is and whatever the cost. He and his wife, Lisa, have been married for 27 years. They have two sons, Houston and Hunter, who also serve the Lord in ministry. Barry loves studying the Bible, teaching, and preaching the Word for making and maturing disciples of Christ. His hobbies are building, hunting, fishing and working in the yard. From a young age Houston discovered that he wanted to usehis musical abilities and his life to serve the Lord in ministering to believers and unbelievers. In pursuing this calling he learned to play a variety of instruments,including guitar, piano and drums. Houston has a degree from Gadsden State Community College, and a Bachelor’s degree from the University of Mobile in Worship Leadership with a concentration in Church Ministry. After graduating from the University of Mobile, Houston decided he would partner with his parents in beginning a new work that has now become Oasis Church. He firmly believes the biggest mission for the church is to share the Gospel of Jesus Christ in word and deed, making the most of every opportunity to make genuine Christ following disciples. Houston and his wife, Sarah, married in November 2017 and make their home in Gulf Shores. Houston loves working with Oasis, ministering to others, and building genuine relationships. His hobbies are: playing music, fishing, hunting, longboarding, hiking, and building miscellaneous items. Peggy grew up in Bristol, Tennessee where she met her husband, Odell. After they married, Peggy and Odell moved to Panama City, Florida and started a family. They have three beautiful children, Hayden, Bryson and Braden. Peggy has always had a love of teaching children about Jesus and building relationships with their families and thus began serving in the Children’s Ministry at her home church in Panama City where she volunteered in Sunday school class, chaperoned at church camps and became an essential leader teaching children in a weekly program. Peggy also loves event-planning and has assisted in organizing many social occasions including a Mother-Daughter Tea Party, Daddy-Daughter Date Night, Mother-Son Night of Fun and a monthly mom’s group. Peggy and Odell relocated their family to Spanish Fort, Alabama after Hurricane Michael in 2018. In searching for a home church, God led the Dandys to Oasis Church, where Peggy answered the call to be the Children’s Ministry Director. She is passionate about growing a fun-filled program for children to learn what it means to have a relationship with Jesus Christ. Hunter began serving the local church at a young age. Growing up, he was involved with everything from worship leadership to teaching bible studies to organizing camps and outreach events in the Birmingham area. After high school he spent several years serving as a worship leader in his home town. In August of 2017, Hunter felt the calling to join with the ministry at Oasis Church where he now leads the Young Adult and Student Ministry, making it his top priority to serve them through prayer, small groups, special events and anything else he can do to help these individuals grow and know the love of Christ. One of his greatest passions is building relationships with people and creating life-changing community in their day-to-day lives, and he is committed to helping others find freedom and purpose through the gospel of Jesus Christ. Hunter enjoys music, photography, hiking, spending time on the beach and hanging out with his church family.